What Are Some Birds Found in Michigan? Michigan is home to a large variety of bird species living in the deep forests, open fields or the Great Lake shores. Bald eagles, swans, ravens, finches and a number of Michigan songbirds are a few types of birds that prefer the different habitats found in Michigan, where birding has become a national pastime. Sandhill Cranes, large gray-colored shorebirds with long legs and long necks, are just one species of long neck birds in Michigan. These birds live in high concentration near the Upper Peninsula, near shallow water, feeding on frogs, fish and insects. Sandhills also feed on corn, grain, fruits and seeds. A few Sandhills have a red stain on the body and forehead. The Pileated Woodpecker is a large bird identified by its large crest of red feathers on the head and long black bill. With a wingspan of nearly 30 inches, this woodpecker is the largest of its species; its size is similar to a crow. Pileated Woodpeckers live in mature forest areas using dead trees for food and nesting. The American Goldfinch, a small finch with bright yellow feathers and black with white wings, is one of several yellow birds in Michigan. 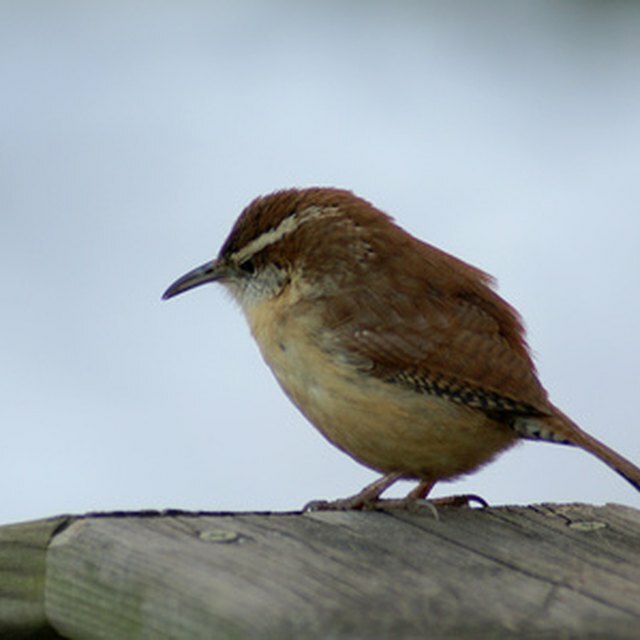 The distinctive characteristics are a small head, long wings and conical bill. Winter time is when these birds are often seen, since they nest around July and August. They are often found at winter-feeding stations in Michigan more than any other bird. One of the smallest woodpeckers, the black-backed woodpecker is eight to nine inches tall. The name of these woodpeckers fits their description, with both sexes having white coloring running down the bill and eye area. The head area on some males has yellow coloring. These birds can be found in the Upper Peninsula, in the jack pine areas. The Great Blue Heron, a large gray bird with long legs and a very long "s"-shaped neck, is another species of long neck birds in Michigan. Adults have very long and shaggy feathers on the neck and back, while younger herons do not. The wings are gray with bluish ends. Some herons have reddish or gray along the necks. Great Blue Herons live near ocean shores or inland ponds. They are the most widely spread and largest herons in North America. Yellow-rumped Warblers have a bit of yellow near the top of their very long tails. Yellow patches are also located on each side of the breast. The warbler's body is mostly gray with some black streaks throughout the back and wings. They have large heads and small sturdy bills. Warblers live in open forest areas and in residential areas, traveling in large flocks. The White-throated Sparrow has a streak of several colors on the head area. The eyes bare a black stripe with yellow lores, white on the top outer area and gray on the lower face. The wings and tail are deep brown. The rounded underpart is grayish white. These sparrows have a very distinct whistle sound and are found low to the ground near bushes, thickets and overgrown fields. The Common Loon are large waterbirds with long, pointed bills. 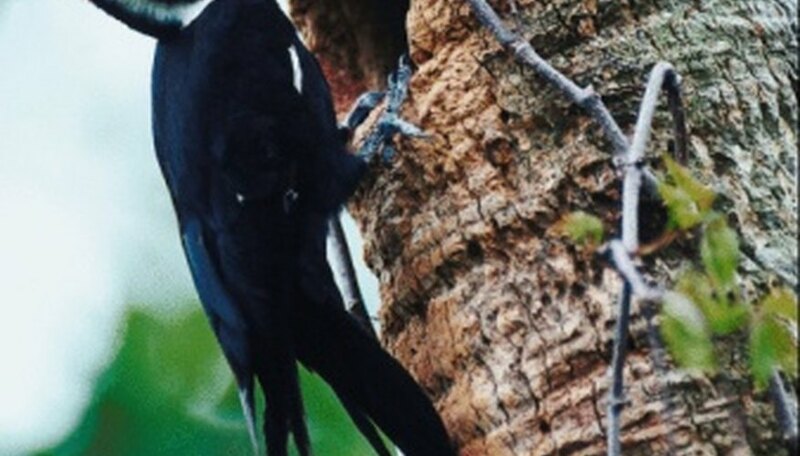 These birds have a dark-black color with white underparts. Their call is described as an eerie yodel and can be heard from great distances across the lake. The males use this call to establish territories from other birds. With ancestral roots tracing back over 100 million years, the Common Loon is one of the oldest species. The Scarlet Tanager is a medium-size songbird, with black wings and a bright red body distinctive in the male breeds; female breeds are an olive color. These birds prefer mature forest areas with dense oak trees, where they are spotted in the summer. Despite the bright color, the Scarlet Tanager is difficult to observe in the dense and mature forest areas. Michigan's official state bird, the American Robin, is a backyard bird seen in large flocks during the fall and winter seasons. These birds are commonly seen Michigan songbirds that have round bodies and long legs. The underparts are orange, and the wings are grayish brown. The robin spends time near golf courses, parks and yards, yet nestles in pine forest areas. With over 25 years of writing experience, Lisa Huston worked in city government with experience in zoning and urban planning, writing ordinances and policies. She specializes in research and technical writing, and she holds a bachelor's degree in Liberal Studies and minor in Film and Media Studies. Are There Pink Flamingos in Hawaii? Huston, Lisa. "10 Most Popular Birds in Michigan." Sciencing, https://sciencing.com/10-popular-birds-michigan-8494951.html. 07 September 2018.